Hardinge Announces New Product Release – New Member of the T Series Family! 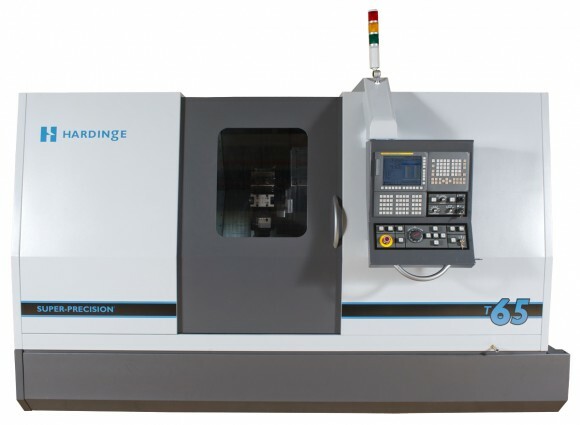 ELMIRA, NY: Hardinge Inc. (www.hardinge.com) a leading international provider of advanced metal-cutting solutions announces the release of their newest and most advanced CNC machines, the T-51 and T-65 SUPER-PRECISION® and High-Performance Turning Centers. The release of this new model T-Series machines follows the very successful introduction of the T-42 turning center. Like the T-42 the new T-51 and T-65 machines are the culmination of many years of Hardinge expertise in SUPER-PRECISION® and High-Performance turning. The T-51 and T-65 are ideal for two axis high precision machining or complex multi-tasking operations that require a high level of precision, delicate part handling and parts made complete in a single setup. High-Performance and SUPER-PRECISION® machine packages are pre-configured with their most popular features allowing users to select the proper machine tool configuration and precision level to produce parts in the most effective, accurate, and profitable manner. Packages are available to choose from with features that include but are not limited to: Live Tooling with C-axis, Sub Spindle, Y-axis, Main Spindle Parts Catcher, and their unique Sub Spindle Parts Catcher designed for removing delicate high precision parts with critical surface finish requirements without damage to the part. – 5000 RPM, 2” bar capacity, A2-6”, 20 HP, collet-ready spindle.